How to play Rummy 500? Rummy 500, also known as the 500 rum card game, is a popular variation on classic rummy played all around the world. Rummy 500 is easily adaptable to suit any player count and is simple enough to understand. Rummy 500 is suitable for 2-8 players. The standard 52-card Anglo American deck is all you need to play the 500 Rum card game. For player counts of 4 or more, an additional deck is used. The dealer is determined by drawing a card from the deck after shuffling. The player drawing the higher card will be the dealer of the round. The Kings are the highest, and Aces are the lowest. Each player is dealt 13 cards each (or 7 in games with more than 2 players). The remaining cards are set aside, forming the draw pile. The top card of the draw pile is revealed and placed on the board, forming the discard pile. The goal of Rummy 500 is to form melds using all cards in hand. Melds include sets and sequences, consisting of at least 3 cards. Sets are formed with cards of the same rank from different suits. An example of a set is 3♣ 3♦ 3♠. Sequences are made with cards of ascending rank. An example of a sequence is 5♦ 6♦ 7♦. However, 4♣ 5♦ 6♠ is not a valid sequence, as the cards are from different suits. The non-dealer goes first. In the case of more players, the player sitting to the left of the dealer goes first. At the start of each turn, the player will draw a card form the draw pile or the discard pile. If drawing from the discard pile, the drawn card must be immediately used or discarded. To use a drawn card, a player will reveal a valid meld made using the drawn card. The revealed meld will then be set face-up on the board and can no longer be discarded. If drawing from the draw pile, the card can be kept unconditionally. However, a card of the player’s choosing must be discarded. Discards will be placed face up. However, discards must be placed in a way such that all cards beneath can be seen. This means that players can draw any specific card in the discard pile, provided they take all cards above. On every turn, players can meld or lay off on revealed sets on the board. At the end of their turn, a player must discard the same number of cards they have drawn. Revealed sets can be added to if the remaining card is drawn. For example, if a revealed set of 3♣ 3♦ 3♠ is on the board, and a player draws the 3♥, they can place the 3♥ heads up, indicating that they have laid off. Players can also lay off on their own sets by simply playing the card as an extension of their set. When a player discards a card that could have been laid off, any player can shout “Rummy” to take the card. That card is always awarded 15 points. Scores are awarded as described in the Scoring section of the guide. The first player to reach 500 points wins the game. Due to the complexity of the drawing and discard rules, there are special rules used in Rummy 500. If a discarded card can be laid off, any player can call “Rummy”, even if it is not their turn. A player can draw any number of cards from the discard pile, but they will need to discard the same number of cards at the end of their turn. The round ends when a player manages to clear all cards from their hand. This then begins the scoring process. Each player is dealt 7 or 13 cards. If drawing from the discard pile, any number of cards can be drawn provided at least one is used. To use a card, melds are formed and shown. The player discards the same number of cards drawn to end their turn. If sets are revealed, a player can lay off their cards. A player can call “Rummy” when a discard could have been laid off. Rummy 500 scoring is done across multiple rounds. Points are calculated by counting the score of the revealed melds for each player, then subtracting the score of the unmelded cards in hand. An example of scoring is shown in the Hands section of the guide. The score of the melds are 55, the score of the remaining cards is 46. Thus, the player is awarded 9 points. Negative scores will be subtracted from the score total. To prevent lowered scores, players should meld as many cards as possible. Rummy 500 strategy is based around melding, as long as you can meld as many cards as possible, you won’t fall behind. Instead of maintaining unmelded cards, you should always meld whenever possible. Use the unique discard rules to clear more cards from your hand. Sequences are harder to form, but cannot be laid off, making them ideal when possible. When discarding, think about your move, since discards will likely be claimed by your opponents. Remember that wraparounds are not allowed for sequences. A cannot follow a sequence of K.
Where can I play 500 Rummy online? There are many available Rummy 500 apps on the web, Android and iOS. These also allow you to play with other players. 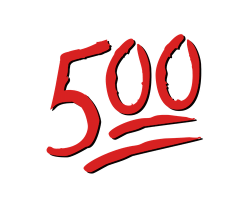 How many cards are dealt in Rummy 500? Each player gets 7 cards, or 13 cards in 2-player games. Do you have to discard in Rummy 500? Yes. You always need to discard the same number of cards that you’ve drawn at the start of your turn. What happens when you run out of cards?